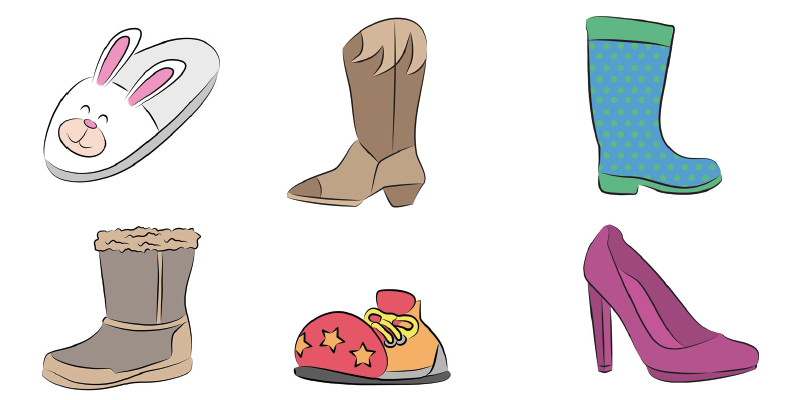 From cowboy boots to clown shoes, this month’s themed lesson kit is just the right fit. There’s more than 25 pages of professional speech therapy lesson plans & high-quality illustrations—download your free rehabilitation lesson kit at the bottom of this post! Bonus: We also created a digital flashcard PowerPoint for one of the activities that you can easily use on your tablet or computer. 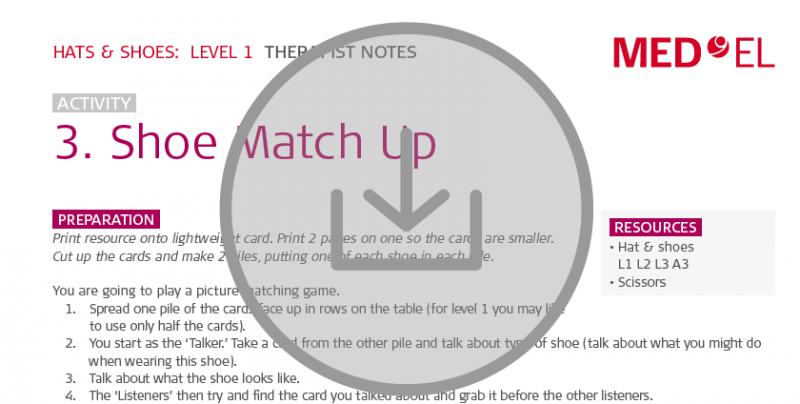 Download the free lesson kit & digital flashcard at the end of this post! This month, the lesson kit theme is “Hats and Shoes”. You’ll be using this specific themed vocabulary and imagery for speech therapy & aural rehabilitation exercises. This month’s rehabilitation activities include a matching game, a search & find activity, a rhyming read-along, and more. Click here to download your Hats & Shoes Themed Rehabilitation Lesson Kit!